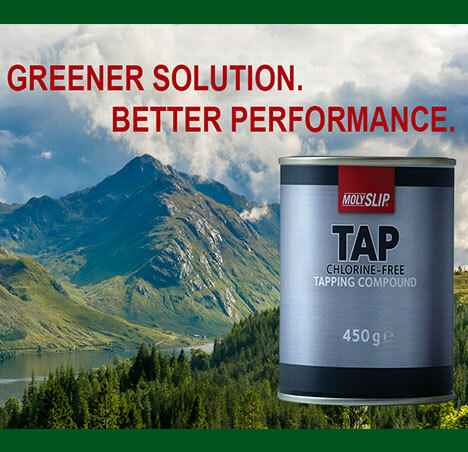 Lubricant leader, Molyslip has launched a new and greener alternative cutting fluid with an upgraded and more cost-efficient range of TAP Chlorine Free, a range of high-performance lubricants that are free from mineral oils and chlorine. The range is designed for severe metal working operations such as drilling, reaming and tapping. Molyslip’s TAP Chlorine Free includes highly concentrated environmentally friendly mixtures of lubricity and reactive extreme pressure and anti-wear additives. They provide excellent surface finish to components and protect tooling from wear and damage.